Alaska is experiencing more than one thousand aftershocks after the 7.0 magnitude earthquake last Friday. According to United States Geological Survey geophysicist Randy Baldwin said that the majority was 2.5 magnitude or lower but more than 350 were higher than 2.5. The earthquake started at 8:30 am last Friday, November 30, but number of aftershocks happened right after the said earthquake, one is at 12 noon yesterday, December 2 at 4.5 magnitude and 11 pm at 5.2 magnitude. Despite the damaged roads, buildings and power shortages, no fatalities or serious injuries reported, officials said. 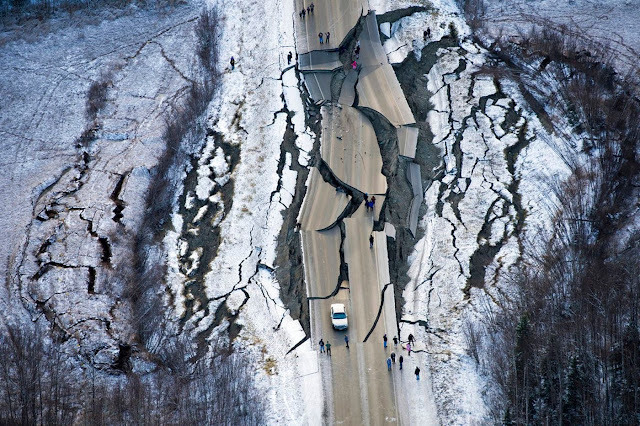 Alaska is located at one of the most active earthquake zones in the world, the Ring of Fire. Alaska also experienced the second highest earthquake ever recorded, on March 27, 1964, when a magnitude 9.0 stuck the state and lasted approximately 4.5 minutes.